So you see, I have become a business woman and I am proud of it because I have always wanted to show that with hard work, women are just as capable as men. 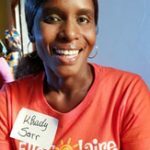 Khady Sarr is an entrepreneur with ElleSolaire selling solar products in Palmarin Ngallou. During the 2018 pilot which saw over 3500 people with clean energy in their homes for the first time, Khady was one of the top sales women and proved herself highly committed to the work. Khady says that she has understood that as a sales agent, she needs to believe in her products one hundred percent and be ready to present herself as an ElleSolaire entrepreneur at any time. She explains that she now makes an effort to dress up more and foster respect for herself and her female colleagues amongst her community. She does house visits with her products but also, whenever there is a gathering such as a wedding or baptism, she will always bring her bag of products and be ready to show them off to her potential clients when they are at their most receptive. There is huge demand for solar products amongst the people of rural Senegal, with over six million living without access to electricity. Light in the home means reducing the hours of domestic work for women and children can study at night. Meanwhile for local business such as vendors, tailors or restaurants, they operate late into the evening hours. The solar lights also have charging sockets for mobile phones which saves many hours of walking time or transport costs of going to charging centres kilometres away. The home systems also have radios for entertainment and know what’s going on and entrepreneur packs equipped with solar-powered head shavers that mean men can be proud of their appearance while avoiding the health risks of using blades and razors to style their hair. 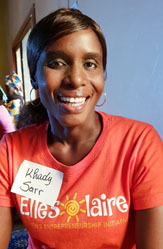 Khady is just one of the 545 women receiving incremental income from clean energy entrepreneneurship with ElleSolaire in Senegal. Following the success of the pilot, ElleSolaire was awarded the D-Prize and partnered with SolarAid in the last quarter of 2018. Today ElleSolaire has launched Phase II with a new and more extensive inventory and sales already underway across the Fatick region. 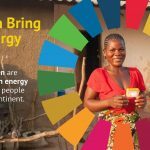 The social enterprise aims to supply clean energy to a further 7000 people by the end of 2019 and contribute towards the attainment of the Sustainable Development Goals by increasing the adoption of reliable and sustainable solar energy and addressing gender inequality. The growing independence of rural women and the well-being their work is bringing to their communities is cause for celebration on this Independence Day in Senegal. 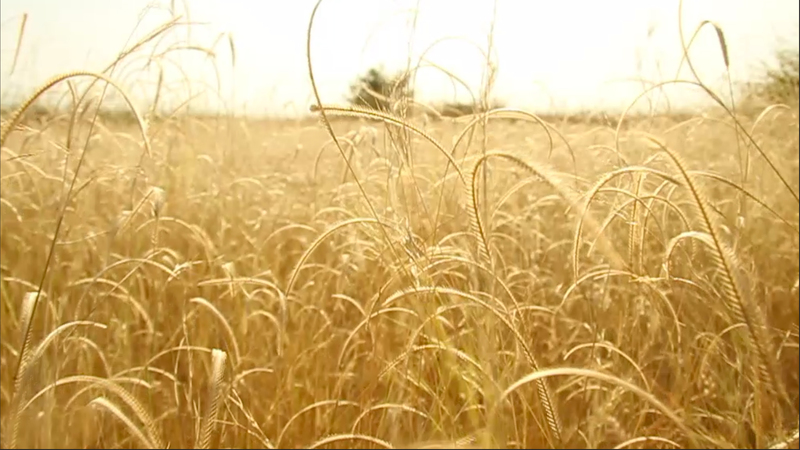 ← Who are the women bringing clean energy to Africa’s gridless?